Derby Drainage Services | Our experts can clear your blockage today. Our experts can clear your blockage today. Have a problem with blockages or need a CCTV Drain Survey? With years of experience under our belt, competitive prices and free call-outs 24/7 – we'll get you back on track. Carlton Drainage delivers a wide range of professional and economical drainage services in Derby and Derbyshire. 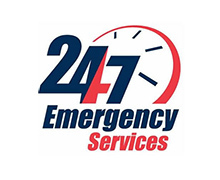 As well as offering a 24 hours a day, 365 days a year emergency call out service for any kind of drainage problem in Derby and Derbyshire, we are well equipped and fully trained to ensure we can provide an extensive solution to all drainage issues for both domestic and commercial customers. 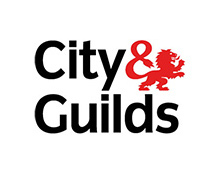 These include unblocking drains in Derby, drain jetting, collapsed drains, drain cleaning, CCTV drain surveys and general drainage repairs in Derby. Whether it's a blockage, CCTV drain survey or drain repair in Derby, there is no job too small or too large for Carlton Drainage. With no call out charge, quick and free quotations our customers have a guarantee that they will get an excellent job done. Carlton Drainage's approach to the plumbing and drainage sector is refreshing. They adopt a professional, clearly communicated and a clearly priced approach that means you always know what's going on and how much it will be. We have used Carlton Drainage in Derby for many years and they have never faulted on their service. The team is always professional and friendly and always provide a solution to our drainage problems. I would like to highlight the excellent work Carlton Drainage did today. I was in the process of undertaking a property refurbishment but found the underground soil pipe blocked. Carlton Drainage arrived within an hour of our call (as promised) and initiated the repair successfully. Thanks! A speedy response from the Carlton Drainage team ensured that my drain was in perfect condition in a few hours. They offered a fair assessment of the required service, as well as the prospective costs and were spot on with the problem and the price! Wherever you are located, there is no blocked drain in Derbyshire that can't be tackled by our team, fast and efficiently. Our engineers offer a drain cleaning service in Derby which allows your drain to stay in excellent condition. Our knowledgeable drainage engineers in Derby will be able to determine the problem and repair it in next to no time. Our engineers carry out CCTV drain surveys in Derby on domestic and commercial properties. 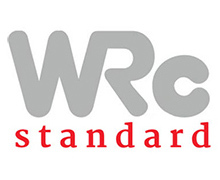 We also offer home buyers reports which are WRC standard. We pride ourselves on the comprehensive range of drainage services that we provide - no job is too big or too small for us. Combining our competitive service rates with the quick and efficient damage repair and servicing our team does, it is easy to see why many people choose our drainage service when facing a problem.